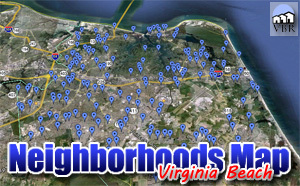 Looking to move to the Baycliff area in Virginia Beach? Here are the Baycliff homes for sale! The Baycliff neighborhood is quite affluent. And there are plenty of waterfront properties available. It is located East of Great Neck Road and it is on the southern edge of Broad Bay. It is quite close to the Virginia Beach resort area. And for you commuters, it is just minutes from Interstate 264. Nearby is Alanton, Linkhorn and Linkhorn Cove. The High School is the coveted First Colonial High School. We have a page with all the homes for sale in Baycliff. Click on this button to see everything currently listed there. When you find a home you would like to see, please let me know! Call (757)589-1237 and I will arrange a showing! Or, on the property, complete the Find Out More form and click submit. I will get information to you right away!